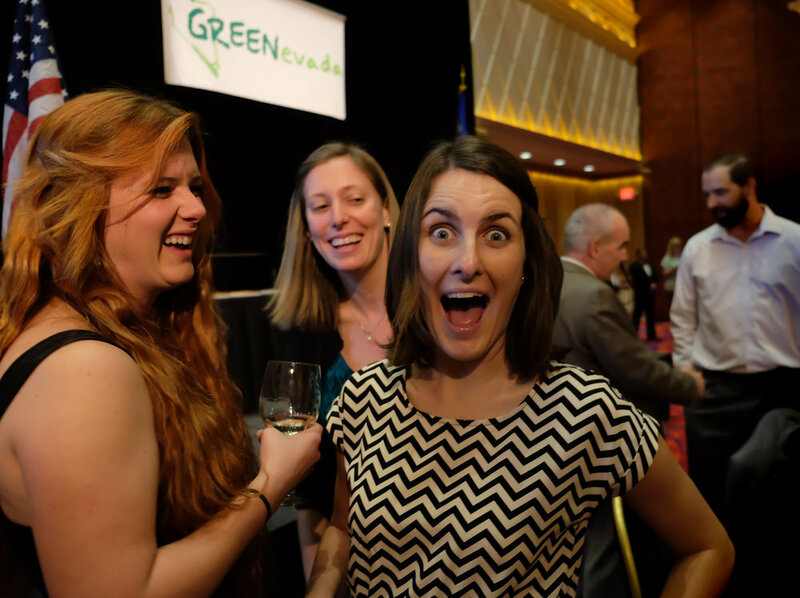 RENO, Nev. — December 21, 2018 — Sierra Nevada Journeys was selected by NatureBridge as one of 10 organizations that will work collaboratively to develop systems that will effectively incorporate Social and Emotional Learning (SEL) frameworks, research, and preferred practices into residential environmental education programming. More than 65 organizations expressed interest from across the U.S. and Canada but only 10 were chosen based on our geographic reach, organizational capacity, diversity of participants served and unique perspectives on SEL. Understanding of the participating organizations’ SEL competencies. Seeking SEL commonalities in similar residential school programs shared by the REEP participants. Mapping program outcomes and associated practices. Establishing a commitment to diversity, equity and inclusion. The Partnership is scheduled to meet again in January 2019, to continue its work on building SEL frameworks. “We’re thrilled to be involved at the ground level of this initiative. Since the beginning, Social Emotional Learning principles have been integral to what we do at Sierra Nevada Journeys, but only recently have we been identifying and building SEL practices more intentionally in the work we do. This partnership is a fantastic way for leaders in our industry to work collaboratively on creating common language, measurement tools and an overarching framework for what SEL does and should look like in outdoor education. 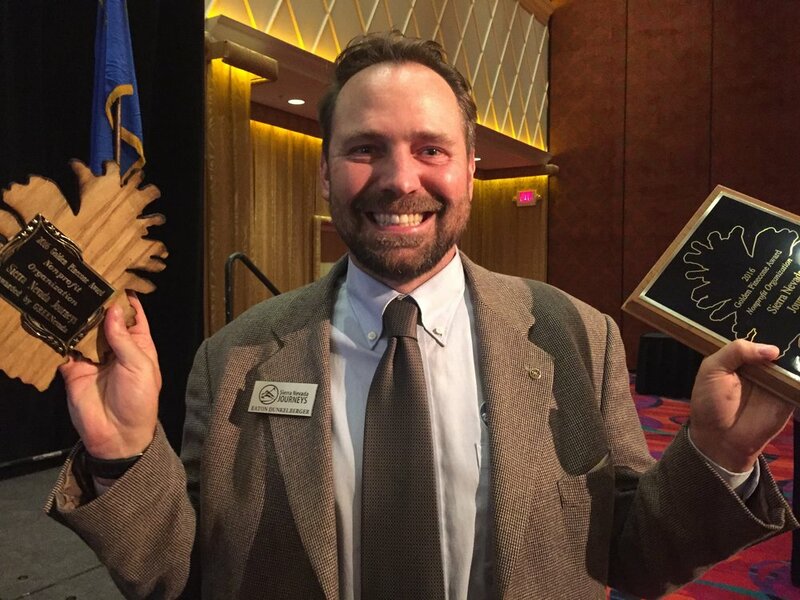 It’s exciting work, and we are so thankful to NatureBridge for recognizing our organization as a leader in the outdoor education industry, and including Sierra Nevada Journeys on this groundbreaking project.” Said Sean Hill, Education Director, Sierra Nevada Journeys. NatureBridge is the largest residential education partner of the National Park Service offering programming in six national parks. Thank you to the S. D. Bechtel, Jr. Foundation for funding this collaborative effort among leading outdoor environmental education organizations. On Nov. 4, we celebrated our fourth annual Q.A.R.E. (Quality. Accountability. Respect. Unique Experiences.) awards honoring team members that exemplify our four core values. The festivities were held at Grand Sierra Resort’s bowling center with pizza and bowling. 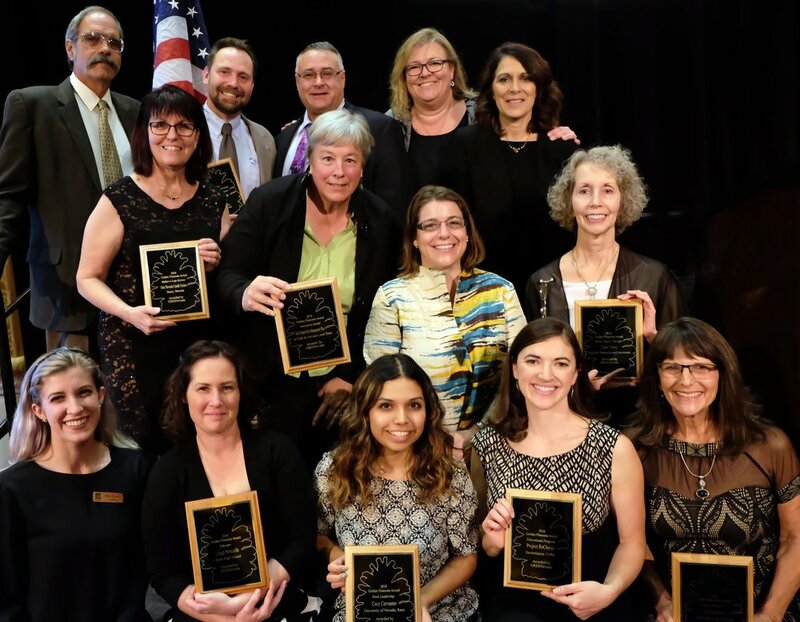 New this year was the addition of a fifth category, volunteer award, recognizing individuals who support Sierra Nevada Journeys with their volunteerism. See all the photos from the evening on our photo site. Quality. Corrie Calderon, Part-Time Educator, started her career here as a field intern, was promoted to Field Educator, and then to Part Time Educator for her outstanding work with science and education with our program participants. During her time here, she has grown in her teaching skills and is passionate for the work she does with us. Corrie comes to every meeting prepared, takes copious notes, and implements changes and suggestions into her practice in the classroom and field. Additionally, she facilitates discussions with ease, follows up with student responses with poise, understanding, and pushes them to think critically. Accountability. Kayla Reeser, Core Educator, always gives 110 percent. She is flexible meeting the demands of the schedule in Sacramento’s programming. Also, she was diligent about going above and beyond the day-to-day role of her job by hosting visiting ROSIs at her house; often stayed late to help with programing and scheduling; lead multiple staff trainings and mentored new staff. Kay helped make this season a success. Respect. Mario Andres Hernandez, Grizzly Creek Ranch Cook, is one of our most stellar employees. He is dedicated to our mission he makes each and every shift for which he is scheduled. Mario brings a strong sense of purpose with him and is rock-solid in performance. His unwavering work ethic brings consistency and high-quality meals for our guests. Also, Mario creates a positive work environment, is collaborative and substantially contributes to the team efficiency and effectiveness. Most importantly, he is a terrific cook! Unique Experiences. Chauncey Foster, Residential Outdoor Science, gives every student that visited Grizzly Creek Ranch, a unique and memorable experience. He regularly sings songs to lighten the spirits of the kids, has random bursts of high energy and connects with each student. The kids leave having gained something more for their experiences with Chauncey than when they arrived at camp. He has excelled with a constant growth mindset and a level of positivity that consistently lifts his colleagues. We appreciate Chauncey for his great energy that he brings to work every day. Volunteer. Marlys Pryor is the epitome of a dedicated, invested and caring community volunteer. Marlys is highly trusted in any role at our Family Science Nights — even lead educator. She is reliable and is a great STEM advocate in her varied roles as a volunteer in our community. 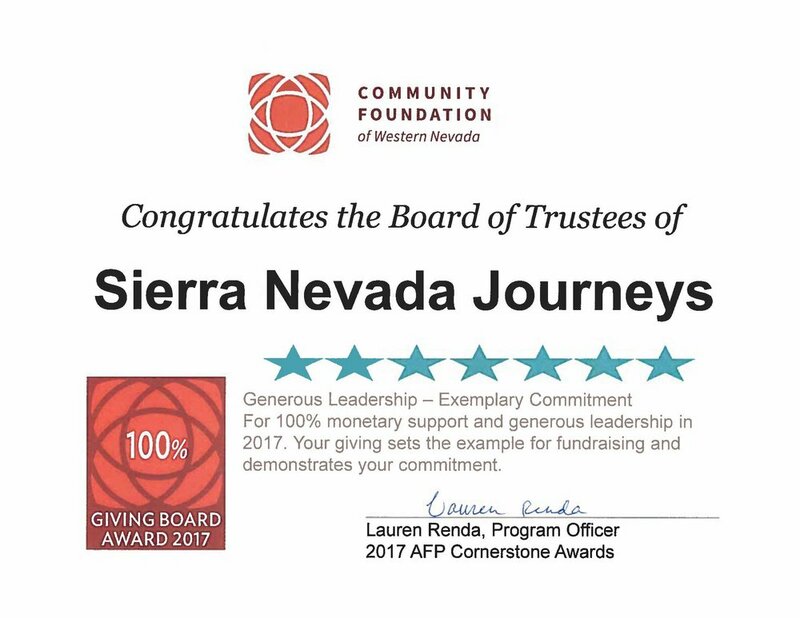 Additionally, she regularly brings community organizations for partnership with Sierra Nevada Journeys. We are lucky to have Marlys on our team. On Nov. 3, we celebrated yet another year of success educating youth in Northern Nevada and California by testing our bowling skills at Grand Sierra Resort. When we celebrate our successes, we remind ourselves each year about our core values which we call "QARE." We are excited to announce the four individuals who we thought best represented each value in 2017. Q - Maribel Aguirre is a Grizzly Creek Ranch Campus Housekeeping Assistant and is our Employee of the Year representing the core value of quality. The ledger of Maribel’s daily work is a model of dedication to mission and commitment to excellence. There is not a single camper or guest evaluation that does not highlight the neat, clean and orderly image of the campus. Further, our American Camp Association visit this season documented the exceptional sanitary standards Grizzly Creek Ranch maintains. Of particular note, Maribel assumed leadership of all housekeeping functions during part of the season and oversaw Grizzly Creek Ranch service. Congratulations, Maribel! A - Accountable fits this person to a tee. As soon as he started working with Sierra Nevada Journeys this year, he was fired up with enthusiasm and drive. He dove into learning about the organization and crafted our Sacramento growth story. He was on the phone within just a couple of weeks connecting with potential supporters. He knew if he could just share the Sacramento impact with people who had an interest in outdoor science education, they would be impressed. He was right. His persistence and follow-through have led to new funding opportunities for our science programs. Congratulations on all your hard work, Brian Broumas! R - Sheena Wong is a Grizzly Creek Ranch Campus Residential Outdoor Science Instructor and is our Sierra Nevada Journeys Employee of the Year representing the core value of respect. Sheena is one of our frequently cited instructors for her mastery of our outdoor school curriculum and her unique teaching style. Sheena is also a thoughtful contributor to not only programs but also campus operations. She has offered and implemented campus improvements regarding emergency response and protecting and conserving natural resources and education. Sheena also has volunteered to advise and represent Sierra Nevada Journeys in a diversity initiative. Congratulations, Sheena! E - Natalie Pritchard brings 110 percent to everything she does. She is so passionate about the work we do and is always working to ensure that our programs are the best they can be. When developing training experiences for new leaders or revising lessons, she’s thoughtful and thinks critically about the experience of the participants and prioritizes their satisfaction and optimal learning. She’s an outstanding leader and a tremendous asset to the Sacramento team. Congratulations, Natalie! Thank you to our entire team for a tremendous year! We're looking forward to what 2018 has in store for us! I’d like to congratulate you and your board for having achieved 100% giving of personal, financial contributions, by your Board members in 2017. The 100% Giving Board Award recognizes the personal financial support each board member commits to the financial health of their nonprofit. This is an opportunity to go “above and beyond” in the scope of support and relationship between board members and the organizations they serve. This year, we are honoring 83 organizations whose boards have given over $2.3 million in personal financial support and your board is among them. It has been incredible to see how the 100% Giving Board program has been woven into the culture of these organizations. We’ve been told that some staff members use this award as a tool to have a conversation with their board members about the importance of giving to the organization. We love to see that organizations and their boards have made it a personal commitment to stay on this list year after year. Congratulations again to your organization and Board who support the cause and mission of your organization by making an annual gift. They understand their role as a board member, and are to be commended for their commitment. Sean Hill, our director of education, attended the 31st annual Project Learning Tree International Coordinators Conference April 24-27. He had a great time networking with State PLT Coordinators and learned about new online professional development opportunities for Nevada teachers! I’m here at the 31st annual Project Learning Tree (PLT) International Coordinators Conference. The conference provides an amazing opportunity to network with other State PLT Coordinators, outstanding educators, various program sponsors and partners and other education professionals from around the country and the world. It’ll be action-packed this week as I’ll be networking, attending workshops and brainstorming sessions as I collect great resources and best practices to bring back to Sierra Nevada Journeys and ultimately, Nevada teachers and students (stay tuned for upcoming announcements for new online Professional Development options for teachers as well as for information about exciting new classroom curriculum, the new PLT e-units). Project Learning Tree is keeping our schedules busy with excellent speakers, including a great session on Tuesday by Judy Braus, Executive Director for the North American Association for Environmental Education (NAAEE). Don’t worry – we also have time built in for exploring Louisville, Kentucky, including a trip to the Louisville Slugger Museum and Factory and a local arboretum. I’m stoked to be here representing Nevada! Sierra Nevada Journeys’ volunteer, Marlys Pryor, was one of the prestigious finalists honored at the 2016 Governor’s Points of Light Award Ceremony in September at Bally’s Las Vegas. Marlys was one of only three finalists in the Northern Nevada Individual Volunteer category. Sierra Nevada Journeys nominated Marlys because of her passion for sharing science with children as a volunteer field educator. As a retired aerospace engineer, Marlys knows first-hand the importance and fulfillment of science, technology, engineering and math and the exciting work that comes along with those fields. In her video recorded for the ceremony presentation, Marlys said, “I start with the kids. What are you interested in?” If a child is interested in music, for example, she explains you have to be good at math to be a good musician. She is committed to getting as many children as possible interested in science-related fields. Last Friday, the Sierra Nevada Journeys team celebrated a successful year of serving youth from Northern Nevada and Northern California through outdoor science programming. We played a few rounds of bowling with our family and friends at the Grand Sierra Resort. We can't say we're as good at bowling as we are science, but we sure tried! We are happy to announce the four individuals who we thought best represented each value in 2016. Q - Debbie Fairbanks, our Housekeeping Manager, represents the core value of Quality. She is always working to make our campus as clean and pleasant as possible, she accepts change with a smile on her face and she is a positive role model for all staff and clients. Olive Poulsen receives the 2016 Accountability Award. A - Olive Poulsen, Residential Outdoor Science Instructor, represents the core value of Accountability. We can always rely on Olive to meet our mission as well as the needs of her students. She will be coming back next season to lead our newest camp session "Counselor-in-Training" (CIT) as the CIT Director. Greggor Manning receives the 2016 Respect Award. R - Greggor Manning, Sous Chef, represents the core value of Respect. He respects his co-workers, and listens to their questions and concerns and provides solutions when able. He understands that teamwork is essential. His family life and past experience in the food industry is invaluable. Lourdes Calzada receives the 2016 Unique Experiences Award. E - Lourdes Calzada, Part-Time Educator, represents the core value of Unique Experiences. Lourdes has a positive attitude and a smile that brightens up the room. She provides unforgettable experiences to not only her students, but to our SNJ staff through the newly adopted culture committee. Thank you to our entire team for a wonderful year! We couldn't achieve our mission without your hard work and dedication.